Deal of the Week – A Deal on Easy Street! Adorable and Affordable! What?? That is almost unheard of in the beach town of Orange Beach, Alabama! And yet, every so often, a rare gem like this comes on the market. Realtors and buyers alike jump when an opportunity like this comes along! 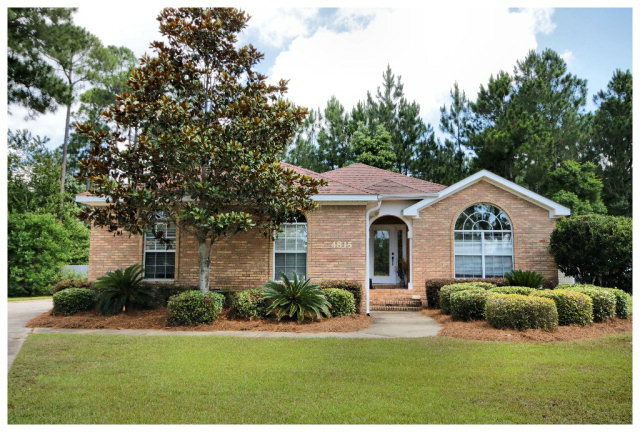 This brick home is pleasantly located in the quaint golfing community of Mulligan Place. It has three bedrooms, two baths and a bonus room! The vaulted ceilings, fenced in backyard, and large 18×18 ceramic title on a diagonal show all of the extras that have gone into this house! There is large laundry area, an irrigated yard on well and a NEW hot water heater! There is also a large screened in patio for entertaining! This location is close to excellent dining, shopping, entertaining, golfing and only minutes from the beach! What could be more perfect then this?! For more information, or to schedule a showing, please contract The Kim and Brian Team at RE/MAX Paradise. Call or text (251) 223.5857 or email TheKimAndBrianTeam@gmail.com.